When I don't see a name next to the post and if there is no video of it, I have a hard time believing this nonsense. Was it a professional driver? Was it on OEM wheels and suspensions? Were there performance upgrades? For "lol Civic" and all other don't believers ! just tipe in you tube search " Fastest NO FLASHPRO/HEADER 8th Gen Civic in the USA 1/4 mile" and WATCH, proof that many people can't drive Si . @ Vinicius: The sound of a Honda i-vtec does it for me, in my humble opinion, the opinion of a Toyota man when it comes to Japanese cars, Honda's i-vtec inline 4s are the best sounding 4 cylinder engines in the world. A very nice car. I had a black 2007 sedan(FA5, if I'm not wrong). Now I have a 2007 Audi A3 2.0t with dsg and I tell you, no more low torq on low revs, but it is very nice to hear and feel the i-vtec kickn' in on 6.8kk revs. Unfortunately with our poor conditions pavimented streets here in Brazil the suspension on these Si's the first thing to be damaged and God these stiffers shocks suffers a lot. Now the car belongs to my younger brother. A few days ago we tested it with hondata, catback and k&n inbox filter against the A3. From 40-120 it was a nice battle, after that the A3 was a couple cars ahead. There are a lot of people that have run high 14s stock and it is very possible. But running 14.3 with just intake is a lie. LMFAO! 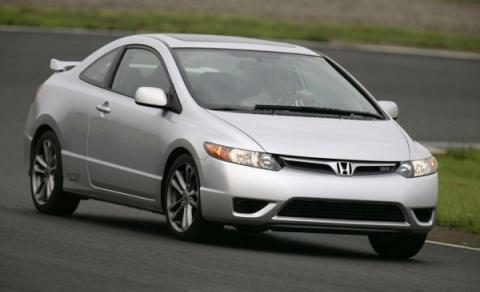 At a 07' Civic SI running 14.3 with just an intake!!!!!!!!!!!!! The car is slow as balls son and nowhere near a 14.3 with an intake. It would take thousands in mods, weight reduction, etc., etc. to run a low 14 in that slow pile. 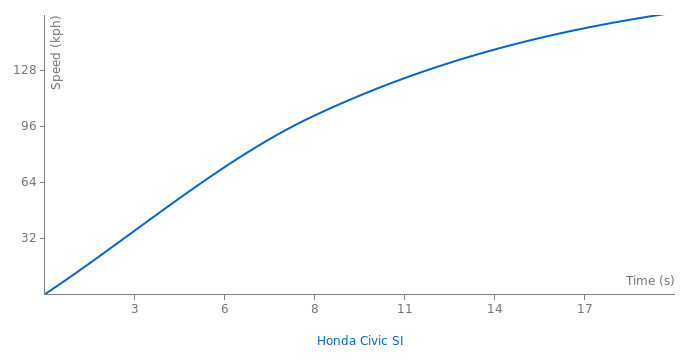 As sinmon said, the Civic SI is a 15 sec car. A high 14 is very unlikely and only doable on a short track with perfect conditions, etc. A 14.3 is not too far off what a Mazdaspeed3 runs (13.9-14.2) and a Civic SI is way slower intake or not. I know the site list 14.4 for the 3MPS but that’s a very slow time for a speed3. dude at my track runs a 2007 civic si stock with just an intake and runs 14.3sec 1/4 mile. there is no n/a 4banger in its price range that is close to that. whoever you saw run a 15.3 does not know how to drive the new si\'s. A 14.9 1/4 is very fast for this car. It can be done with perfect conditions, slightly short track and or perfect driving but it\'s more realistically in the 15.1-15.3 range. It’s a pretty fun car to drive though it’s far outdone by many others in the same or slightly above price range.